To bridal session or not to bridal session? That is the question that crosses all brides’ minds when the subject of photography comes up. You know you want an engagement session, because that time with your honey pre-wedding day is so important! But a bridal session? That takes more pause. I could probably go on and on about the ways a bridal session can positively effect your wedding day – but why not take it from a now Mrs. who got married back in September? 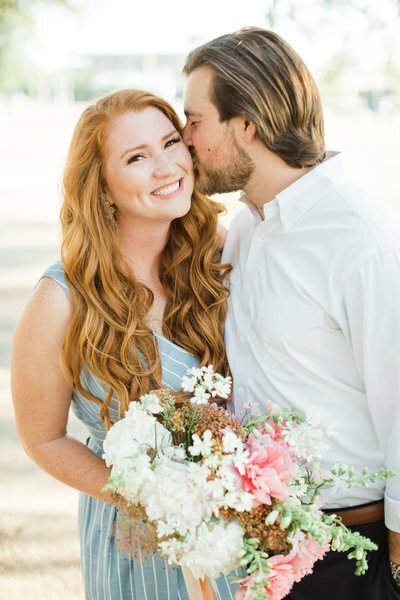 Ashley is giving her advice and telling all about her decision to book a bridal session before her wedding day. Below you can see her straight stunning it at Laguna Gloria where we had her bridals!! Going back to the day of your bridal session, what was going through your mind? NERVES! I was so worried. I had been in my dress a lot before my bridal session doing alterations but where I was getting my alterations done it was really hard to see what exactly I looked like in my dress. 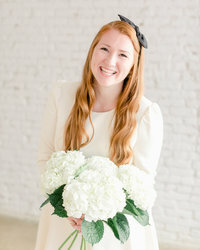 My mom would take photos of me in my dress but let’s just say my mom definitely is not a photographer and the angles she was taking photos at were uhhh not that flattering and the lighting was always off, so I was not super confident in my dress leading up to my bridal session or wedding day! I also found this to be such a fun way to do my hair and makeup trial as well! I had picked my glam squad after looking through all of the photos they had done of brides before me… I didn’t book with them after a trial, I just kinda winged it and trusted that it’d be fine. Plus with the bridal session two weeks before my wedding they hair/makeup ladies remember me and my hair and I felt like they were more like friends compared to strangers the day of. What was your favorite thing about having a bridal session? I think the photos I got out of it! They are soooo special to me. You take so many photos the day of the wedding with your bridesmaids, parents, husband and friends that it’s really hard to find a second to just take photos of yourself and you don’t want to disappear for an hour to take photos by yourself. You spend so much on a dress for 1 day that you should get a million photos of yourself it in and be able to look back at them for years after and just remember everything about that day. What were a few of your deciding factors when thinking about booking a bridal session? This might be lame, but I thought originally that everyone did bridal sessions. It must be such a southern thing because when I took off work for the day I told my boss who works up in NYC what I was doing and she had never heard of having a bridal session. I remember growing up and going to family/friend weddings that there was always a big photo framed right when you walked into the reception of the bride in her gown and all the ladies would gather around it and oooh and ahhh about it. I think for me that I wanted to have a bridal session because I knew I wouldn’t get the photos I got out of the bridal session the morning of the wedding, PLUS I feel like I had a vision of what I wanted out of my bridal photos and I knew that I wouldn’t get that at my venue. We had a more rustic venue because that was what Braden and I wanted but I knew for my bridal session I wanted a super glam space. What was an unexpected result that came from having a bridal session? Confidence! I felt like I planned everything out for the wedding to a tee but I was not super comfortable in my dress. I had the constant thought that maybe I didn’t pick the right dress for me. I thought the champagne underlay was too dark and the neckline was too deep for a Catholic wedding… at least those were the thoughts that kept me up at night. It wasn’t was the cake the right flavor or had I picked the right cream tablecloths, it was me in my dress that I had picked out 8 months ago. When I saw the photos that Holly sent me back I was soooooooo relieved and EXCITED! I looked at the photos and I felt beautiful and all of those thoughts that kept me up at night drifted away! I was excited to get into my dress the morning of my wedding and I never wanted to get out! I was able to walk down the aisle to my best friend feeling confident and beautiful and I knew he would absolutely love me in it. Like seriously I was squealing with delight when I saw the photos! I wanted to run and show Braden but he couldn’t see me in my dress before the wedding… it was such a hard 2 weeks of not showing him! We also loved looking at them on our honeymoon since I could finally show them to him. Also, find a venue that is maybe a little different than your wedding venue or somewhere that is special to you and your soon to be husband. A huge thank you to Ashley for answering these q’s for me! Read last week’s post about my top reasons to have a bridal session (from a photographer’s perspective you could say!!) right here! You can also see Ashley and Braden’s beautiful wedding day at the Milestone in Georgetown here!